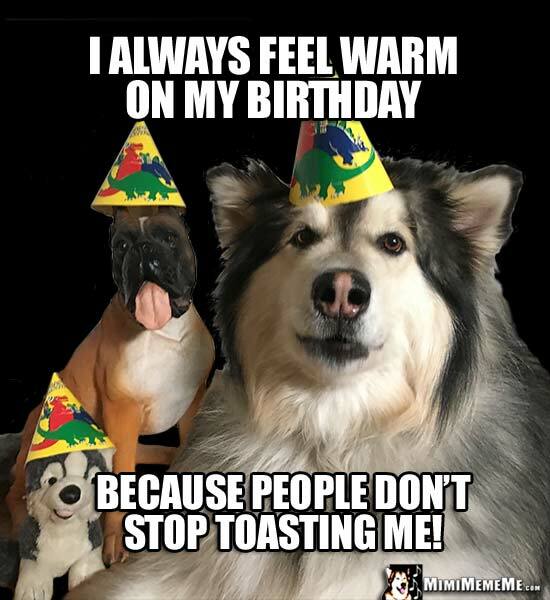 Funny dog and animal pals like Howling Good party cake, Bird-Day Humor, meow-valous B-Day jokes, belated birthday greetings, and arF-ing funny laughter from party dogs on your Happy Birthday! 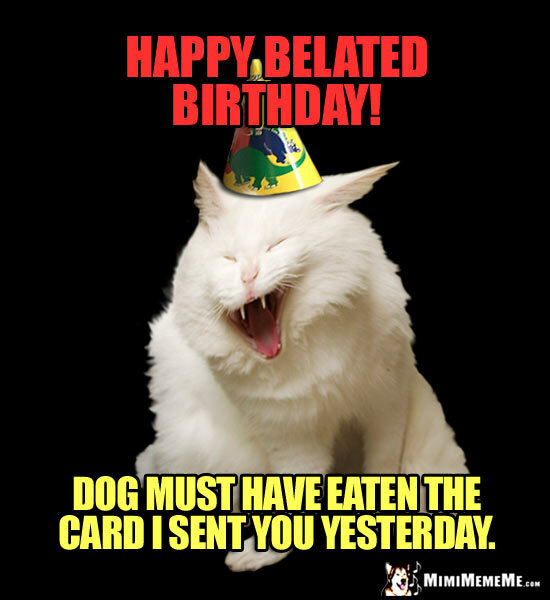 Funny Animals Tell Birthday Jokes & Send Humorous Happy B-Day Greetings to Loved Ones. 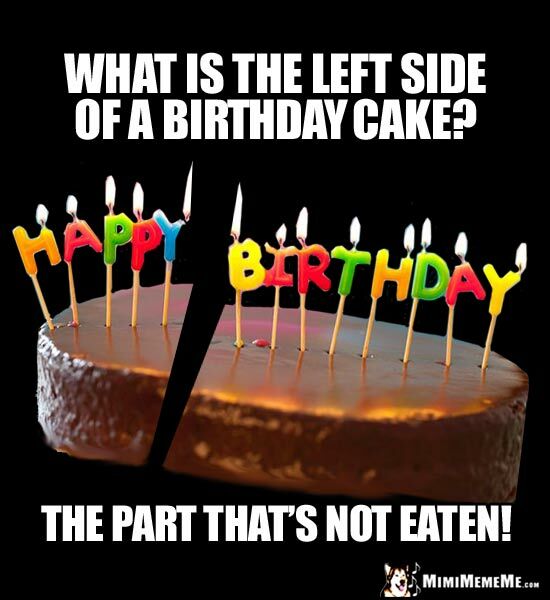 Funny Birthday Memes. Dog and his pals pass along warm birthday greetings, doggie kisses, and maybe some gas after the cake. Happy Meow Day. 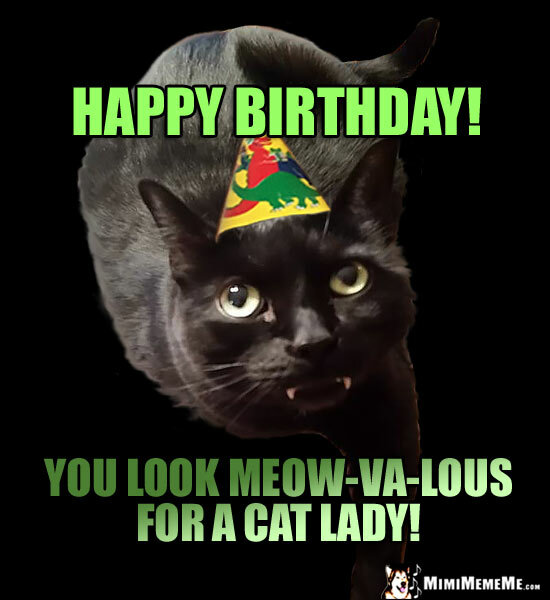 Of course, Cats wanna wish their favorite Lady a Me-Ow-Va-Lous Birthday! Purrty funny, eh? Happy Birthday Dogs. 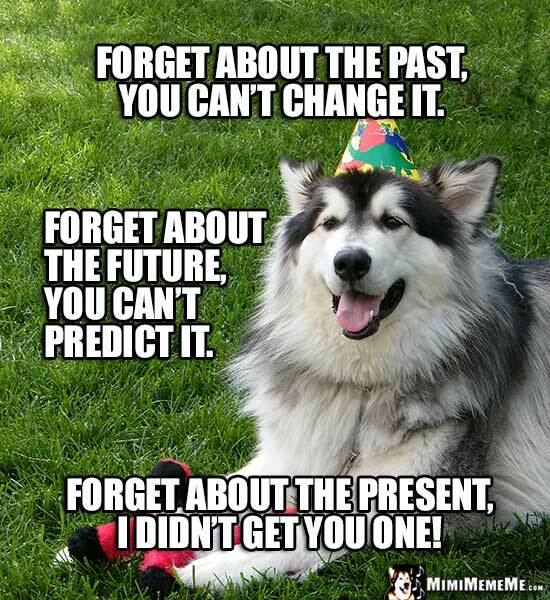 Party dog is in the here and now, and Now is the time to celebrate your birthday. Remember Happy! Happy Bee-Day Greetings. 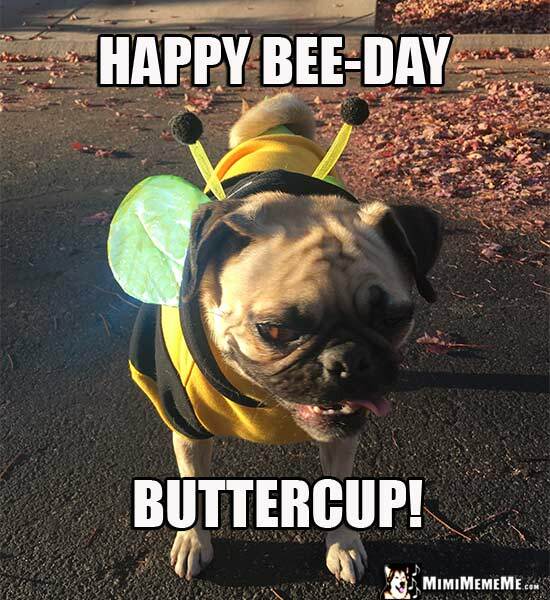 Here's a sweet Bee-Day wish from a pug admirer: Happy B-Day, Buttercup! Funny Birthday Cakes. 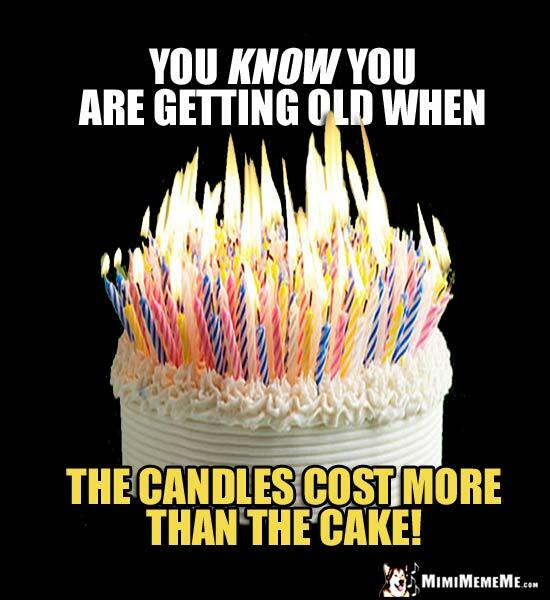 You know you're getting old when there's more candle wax on the cake than frosting! Happy Birthday, Old Man! Funny Bird-Day Jokes. 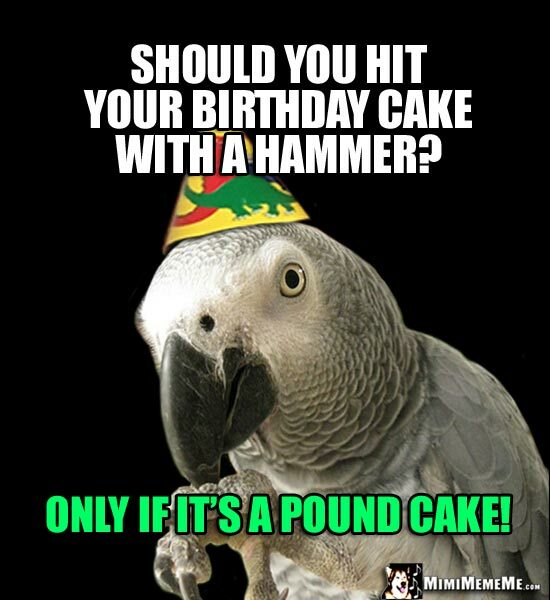 Birthday jokes by parrots take the cake every time and hammer home the B-day party humor. Happy Birthday Mom. 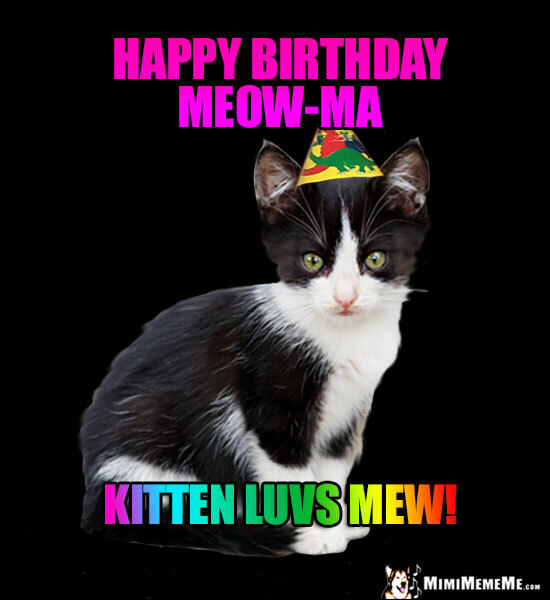 A mews-ing Happy Birthday greetings from all your kits. Just kitten about the cat lady crack, Mom! 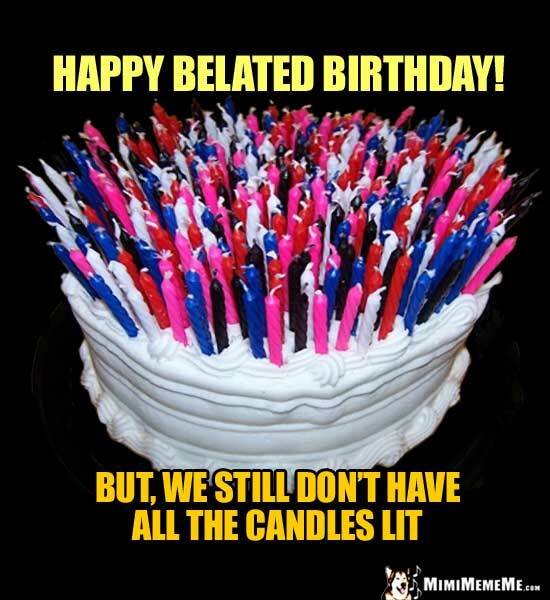 Belated Birthday Humor. Better late than never! Next year we'll get fired up to celebrate your birthday on time. Happy Birthday Dad. 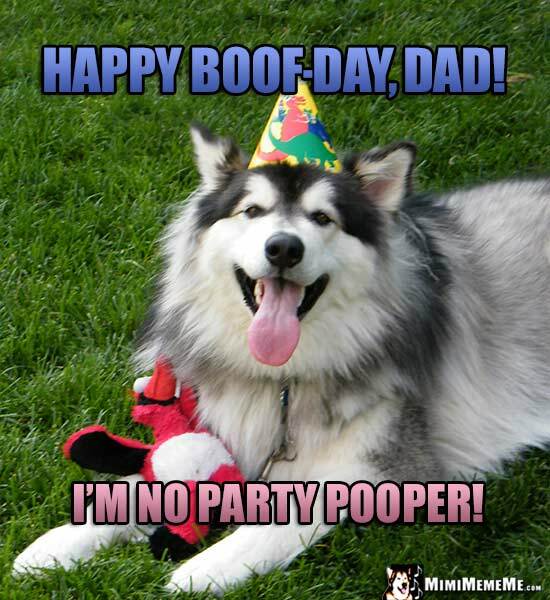 This dawg is no party pooper and wants to wish you a very Happy Boof-Day, Dad! Funny Birthday Sis. 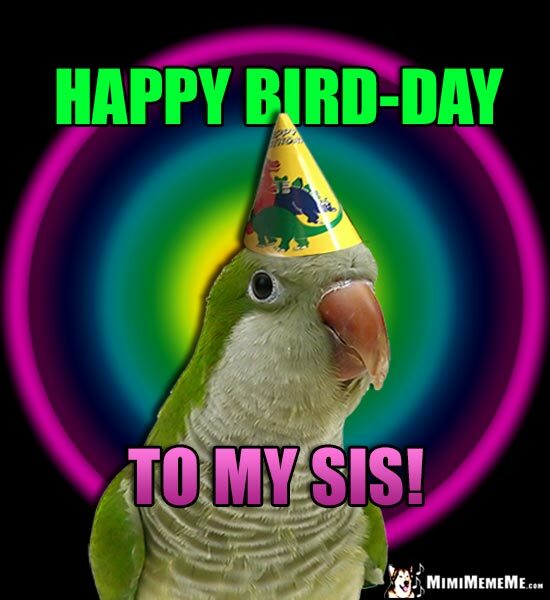 Chatty parrot wishes Sis a very Happy Bird-Day. 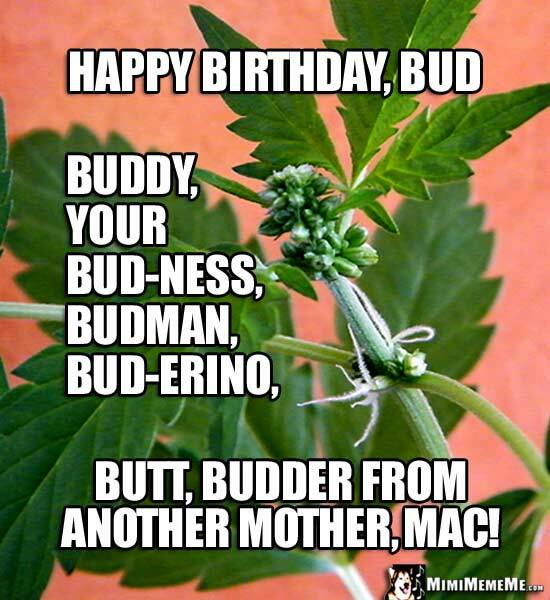 Funny Birthday Bro. 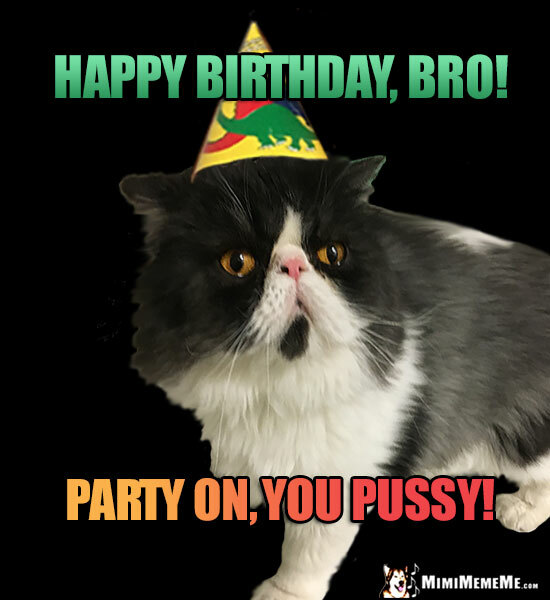 Manly cat urges you to party on and have a Happy Birthday, Bro. 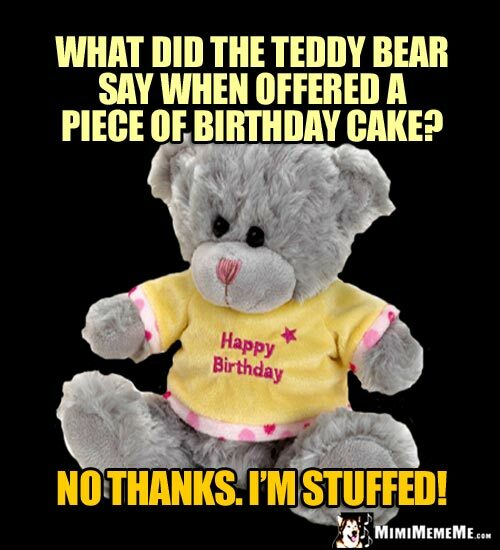 Beary Happy Birthday Humor. Funny bear isn't watching his weight. He just wants to make sure you'll have plenty of cake for all you party guests.